Diesel Exhaust Fluid (DEF) is 32.5% solution of high-purity urea in de-mineralized water that is used with the Selective Catalytic Reduction system (SCR) to reduce emissions of nitrogen oxides (NOx) from the exhaust systems of diesel vehicles in the USA. Diesel Exhaust Fluid (DEF) is a clear non-hazardous liquid. It has been proven that UV rays are not harmful to DEF. However, where possible, store in the shade to avoid fluid heating from direct sunlight. What are the Best ways to Store and Dispense DEF? Because of what DEF is made of, when it comes in contact with steel, it will immediately rust and corrode. This means that when you are storing and dispensing diesel exhaust fluid, you must use stainless steel or plastic. DEF storage - You must store the DEF in a plastic or stainless tank. Plastic or poly tanks are a lot cheaper and durable. Any fittings or plumbing that come out of the tank must be plastic or stainless steel also. Before you store DEF, make sure your tanks are ISO 22241 approved. This will mean that your fluid will be kept pure from contamination. DEF dispensing - Dispensing DEF into your machinery can be sensitive. You should also make sure your tank dispenser and components are poly and stainless steel. Making sure your DEF dispenser is ISO 22241 approved is also important. What will Contaminated DEF do to your Machine? Everybody that uses equipment that takes DEF should know this answer. Contamination could damage the catalyst in your SCR system. With most equipment, this will void the warranty of the engine which could get extremely costly. On top of this, it can also cause your system to use more DEF than it should. The catalysts in SCR systems use rare metals and replacing one could cost $12,000 to $15,000. 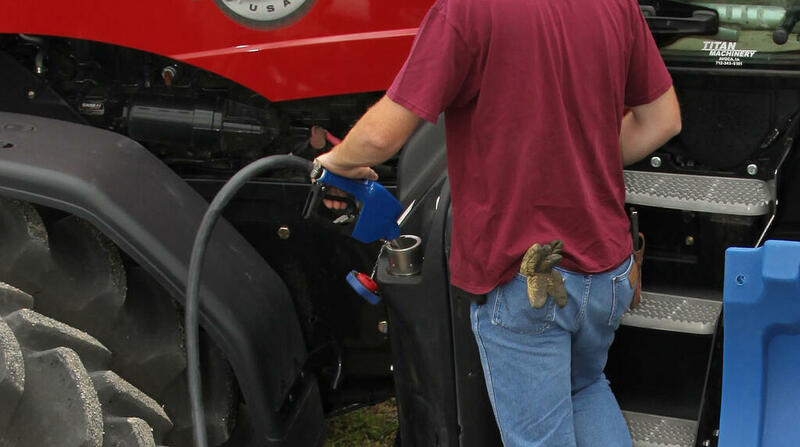 There are many other diesel exhaust fluid facts that you should know about. to learn more, view this interesting article I stumbled across that will teach you more about this liquid.